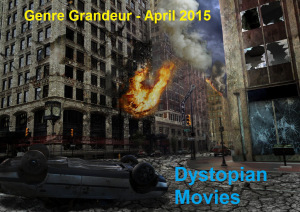 It has been too long since I last participated in Rob’s Genre Grandeur feature, but I’m finally back with an entry into this month’s Dystopian-themed edition, which was picked by James of Back to the Viewer. Check out my post and leave a comment if you like! Thanks again to James of Back to the Viewer for choosing this month’s genre. Next month’s Genre has been chosen by S.G. Liput of Rhyme and Reason. We will be reviewing our favorite fantasy/sci-fi animated movies (non-Disney or Pixar) . Please get me your submissions by 25th May by sending them to animated@movierob.net Try to think out of the box! Great choice S.G.! Thanks for taking part Tom! Twas my great pleasure Rob. I’m thinking on a title to send you for Movies From the Hat so stay tuned…. Great post, man! I haven’t seen this one yet. I started to a few months ago, at my boyfriend’s house, but I was very tired and fell asleep. 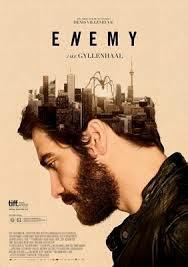 Will definitely check it out sometime soon as I’m a fan of Gyllenhaal and Villeneuve. Yeah, I’d be interested to hear your thoughts. If you’d ever put up more than a post every decade dude. 😉 😉 Enemy is a strange one, no doubt about it. It’s quite a bit more polarizing than Prisoners, that’s all sure. Check it out.